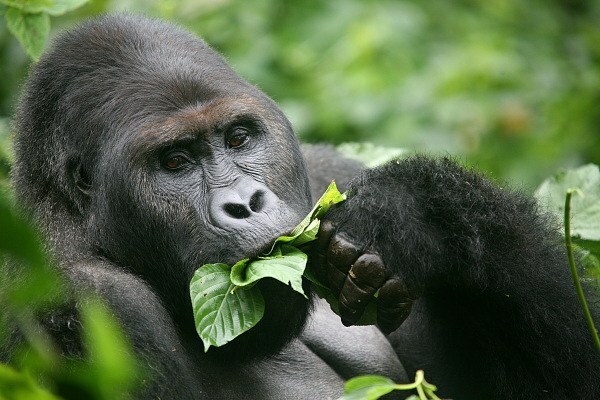 This 3 Days Bwindi Gorilla tour takes you into the ancient Bwindi Impenetrable Forest National Park to trek the world endangered species of the mountain gorillas thriving in the park. Bwindi Impenetrable National Park is located in southwestern Uganda on the edge of the Rift Valley. The “impenetrable forest” protects nearly more than half of the remaining mountain gorillas in the world (400Mountain Gorillas) and it is one of the safe and secure destinations to have life time gorilla trekking experience in Africa. The tour also offers you an opportunity to participate in other activities like cultural walks to visit the Batwa community, Nature walks, forest walks and bird watching. Day 2 of the 3 Days Bwindi Gorilla Tour: Early Morning Gorilla Trekking & Afternoon Cultural walk to visit the Batwa community. Day 3 of the 3 Days Bwindi Gorilla Tour: Drive back to Kampala with en-route lunch stopover at Igongo Cultural Centre. Day 1 of the 3 Days Bwindi Gorilla Tour: Transfer from Kampala to Bwindi Impenetrable National Park. After an early morning breakfast in your Kampala place of stay, you will be picked up by our driver guide and depart from Kampala driving towards south western Uganda to Bwindi. Have a brief stop at the Uganda Equator for marvelous water experiment, photographs and refreshments as well a visit to the craft shops. Thereafter, you proceed with the journey while enjoying the views from the vehicle of the long horned Ankole cattle in the land of honey and milk –Mabara. You will have second stopover for traditional thrilling lunch at Igongo Cultural Centre and brief tour to the museum. Afterwards traverse through the rolling hills, terraced landscapes and the beautiful panorama of Kabale to the park. On arrival to the park, you will drive to the lodge to check-in,have dinner and overnight stay. After an early morning hearty breakfast, you will transfer to the Park headquarters for registration and join other visitors in an early morning briefing about the do’s and don’ts of Gorilla Trekking at Bwindi Impenetrable National Park. After briefing, UWA experienced ranger guide will lead you to the trail heads to entre in the ancient, thick dark Bwindi impenetrable forest to start searching for the unique species of the mountain gorillas inhabited in the hilly forested areas of Bwindi Impenetrable Forest. The trek may take you between 2-8 hours to encounter face to face with the mountain gorillas and once up close, you will be allowed to spend one magical hour with these stunning apes. During this time you can decide to sit down listen to gorilla crumble, study how these apes go about their daily activities and you can take as many photos as possible. Retire back to the starting point after the one hour and proceed to your lodge for a late lunch and relaxation. Thereafter, embark on an evening community walk to visit the native Batwa community and have a cultural encounter. Return to your lodge for dinner and overnight stay. Accommodation: Chameleons Hill Lodge (Luxury/Upmarket), Gorilla Mist Camp (Mid-Range/Standard), Broad Bill Forest Camp (Budget/Basic). After breakfast, depart Bwindi Impenetrable National Park driving back to Kampala. The long drive of 530kms about 9-10hrs will take you through the rolling hills, terraced landscapes and the beautiful panorama of Kabale to land of honey and Milk-Mbarara. Have lunch stopover at Igongo Cultural Centre located just 12kms passed Mbarara town. 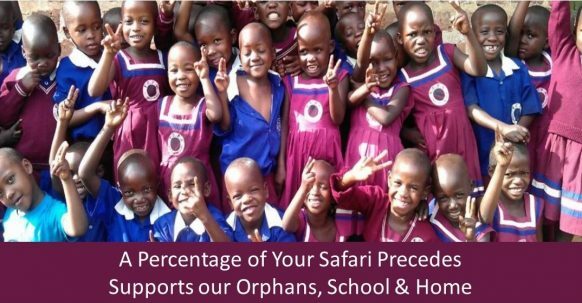 Thereafter, proceed with the drive and on the way you will have stopover at Uganda Equator for photographic opportunity, fascinating water experiment visit to craft shops and Mpambire drum makers for brief drumming session. Afterwards advance with the drive to Kampala and as soon as to you arrive, the driver guide will drive you back to your lodge or Entebbe international airport for your flight back home.